The world of Japanese snacks is colorful and playful… and sometimes quite bizarre. Snacks can come and go in the blink of an eye. It’s not uncommon for Japanese snacks to disappear from existence forever – and sometimes after a very short stint. It’s partly because the Japanese obsess over seasonality. Certain flavors have limited runs as the ingredients go out of season. But it’s also due to the fiercely competitive nature of the snack market. Convenience stores and supermarkets only have a limited amount of space. Companies must constantly churn out the best and most exciting snacks to gain a spot on the shelves. Not all snacks come and go with the seasons, though. Some of the classics have been around a long time. They last forever because they taste great and give people what they want. Hungry to try one of the classic snacks? Or are you looking to enjoy a new and delicious snacking experience? If so, check out this list of the 10 best Japanese snacks that have stood the test of time. 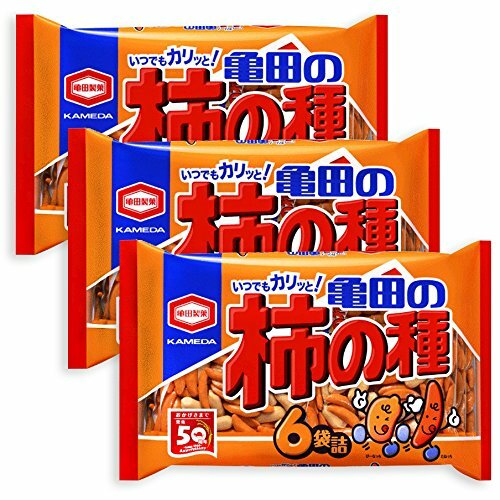 A package of Kaki no Tane gives you a tasty combination of spicy rice crackers (called arare in Japanese) and peanuts. It’s also known as kaki pea (from “kaki” and “peanut”). The snack gets its name (kaki) from the crackers’ resemblance to persimmon seeds. In 1923, a rice cake maker stepped on a metal cracker mold by mistake. Instead of throwing the bent mold away, he used it to create the first Kaki no Tane. The crescent shape of his new creation reminded him of persimmon seeds. He began selling the spicy crackers in his hometown (Niigata). The snack caught on and quickly became popular across Japan. Kaki no Tane crackers come coated in a spicy soy-sauce concoction. The simple and mild peanuts balance out the flavor. The sauce and peanuts taste great together; it’s a dangerously addictive combination. It’s especially loved as an otsumami (bar food) by beer and sake drinkers. Kameda Kakinotane is a famous and popular Japanese rice cracker eaten with peanuts. Since small 6 packs are in the whole package, it is suitable to share. Only "Nippon Tomodachi" sell original "Ninjapo" Noshigami wrapped set. Noshigami is ceremonial wrapping paper attached to gift in Japan. Ebisen are a popular crunchy shrimp snack. 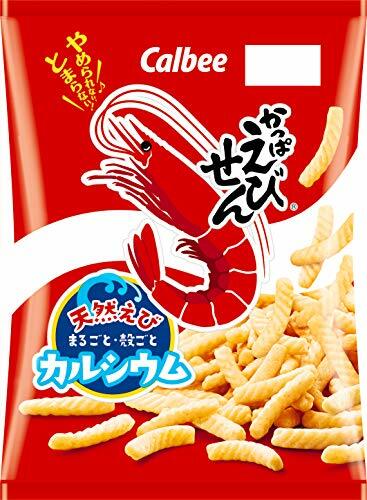 You’ll sometimes hear them called “shrimp flavored chips” in English. The iconic red package has been a well-loved part of the Japanese snack scene since 1964. Several types of shrimp go into making Ebisen. The manufacturer freezes the shrimp at the height of their freshness to maintain the shrimpy flavor. The entire shrimp gets used – from head to tail. Because of this, the snack is chock full of calcium… with a whole lot of shrimp flavor. The crunchiness comes from the cooking method. Instead of deep-frying the shrimp in oil, the shrimp get roasted with salt. Ebisen chips taste crunchy and light. They give you so much shrimp flavor you’ll find it hard not to finish the whole bag! You might have seen this snack before, as it is becoming quite popular all over the world. A pocky is a biscuit stick coated in chocolate. About an inch on each end gets left uncoated. The uncoated “handle” lets you eat your Pocky without getting chocolate on your hands. This was an innovative step in portable snack technology at the time. The name comes from the sound the stick makes when it breaks. To the Japanese ear, this sound goes “pokkin”. The sound then became “Pocky,” the name we all know and love. 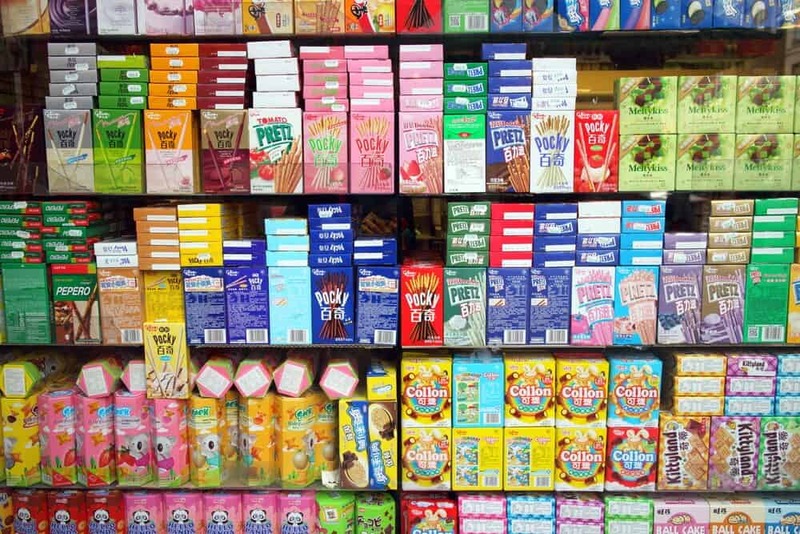 For many people in Japan, Pocky conjures up the sweet nostalgia of childhood. When Pocky first came out, the only flavors available were chocolate and strawberry. Nowadays Pocky targets a more adult market. They have “gourmet” flavors and sophisticated package designs. 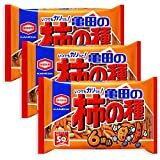 *Note: If buying from Amazon.com, please note that while Pocky are originally Japanese, many products are made in other countries such as Thailand. 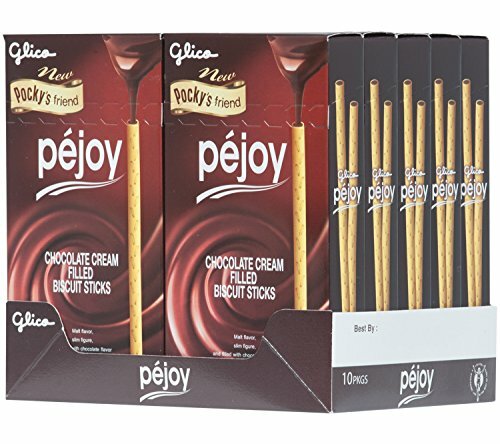 The manufacturer offers an “upscale” Pocky snack called Pejoy. The new flavor came out in 2016. A limited number of packages will be sold. It pairs well with whiskey (and is meant to). 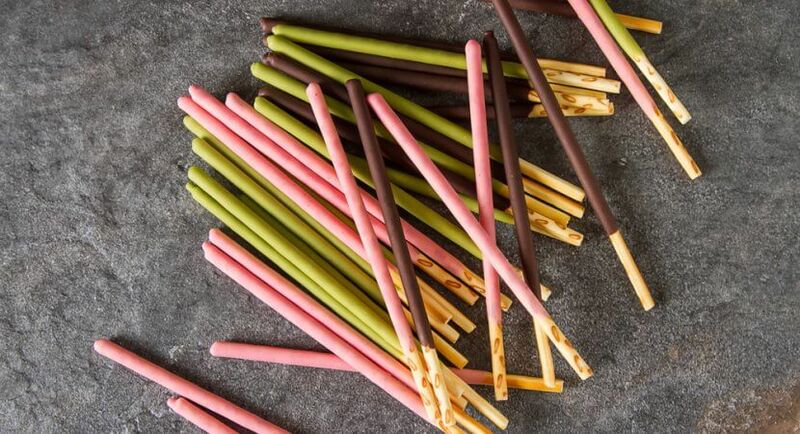 Pocky succeeds in Japan’s competitive snack market because of its simplicity. A Pocky stick gives you the perfect balance of crunchy biscuit and creamy chocolate. It also succeeds because of the new, creative flavors introduced each season. This variety pack contains 8 - 2.47 oz. 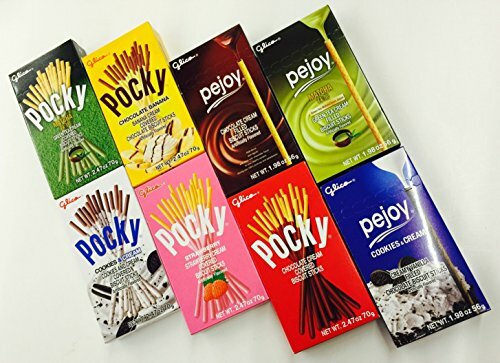 boxes of Pocky & Pejoy snack biscuit sticks in 8 Flavors. As the perfect anytime, anywhere snack, its stylish packaging is made for taking with you on-the-go-conveniently nestled in your pocket, in your purse, or simply in your hand. 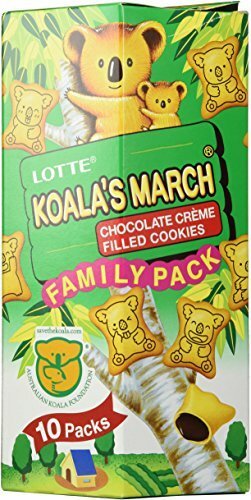 Lotte’s “Koala’s March” cookies make a cute and tasty treat. This sweet snack has been a favorite among kids (of all ages!) since 1984. Each cookie has a thin, crunchy biscuit exterior with a creamy chocolate filling. There’s a koala image printed on the front of each cookie. There were 12 different koala designs when Koala’s March first came out. They all played marching band instruments (hence the name). More and more koalas joined the line-up over the years. You can now find hundreds of koala designs on your cookies. Certain koalas are rare. If you find one, you can expect some good luck to come your way (supposedly). The rarest koala has eyebrows. Nobody knows how or why this came about. In a 2009 survey, every single Japanese person surveyed (over 1,600!) claimed finding this guy brings you good luck. If you find a koala with eyebrows among your cookies… you have some exceptionally good luck coming your way! In 1984, the Koikeya company noticed something about the snacks on the market – there were barely any spicy snacks. 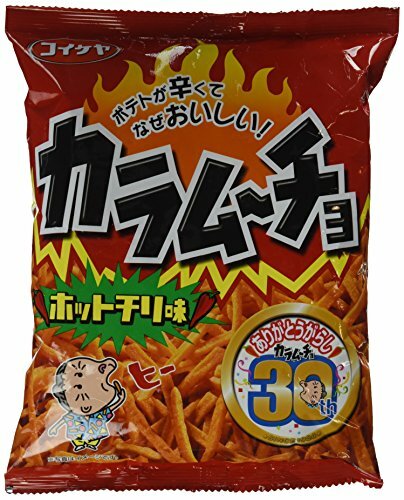 In fact, when Koikeya expressed interest in creating a spicy snack, they received lots of negative feedback. People didn’t think a spicy snack would sell. But Koikeya, eager for something new and bold, looked to the West for inspiration. They noticed Mexican food was trending. So they forged ahead. They created crunchy potato sticks dusted with hot chili powder… a brand-new flavor experience for the Japanese palate. And as we now know, it was a huge hit. It triggering the “crazy spicy” trend in the snack world. You can still find Karomucho on supermarket and convenience store shelves across Japan. It remains the most widely known and popular spicy snack on the market. Hot Chilli Flavored Potato Sticks! Back in 1969, senbei (rice crackers) only came in round or square shapes. 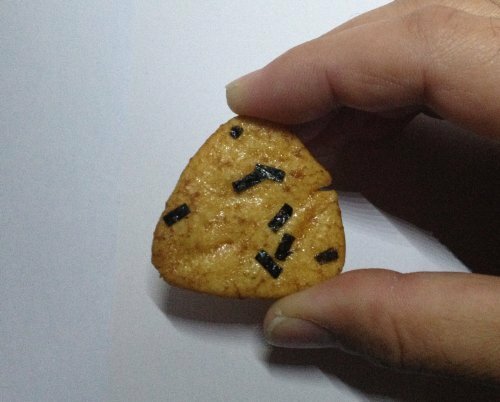 The makers of Onigiri Senbei wanted to make triangular senbei. They didn’t know what to call it at first. With their triangular shape, the creators could only think of one thing… the onigiri (the classic Japanese rice ball). So they made a senbei look and taste like grilled onigiri. The senbei even gets coated in a sweet soy sauce and sprinkled with seasoned seaweed. Senbei is sold mainly in the Western region of Japan (the Kansai area). You might have trouble finding it in other parts of the country. The sweet flavoring appeals to Kansai tastebuds. Even so, take one bite of an Onigiri Senbei and you’ll understand why it’s on my list of the best Japanese snacks. The crunchy texture goes perfectly with the sweet and savory soy-sauce flavor. The tiny slivers of seaweed combine with the sauce and crunchiness to create the perfect taste. Heavenly! 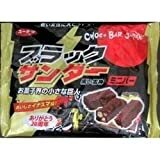 Black Thunder sounds like the name of a heavy metal band, but it’s actually a very popular chocolate bar. Black Thunder came onto the scene in 1994. It began as a local favorite – college students in the Kanto region loved the bars. The snack became famous across Japan by the end of the 2000’s. It’s easy to see why. You get a cocoa-flavored cookie mixed with rice puffs coated in dark chocolate. Everybody who tries one loves it. But why the name, “Black Thunder”? It’s not really clear. Many people think the creators chose “black” because of the dark chocolate. The word “thunder” may refer to the Japanese god of thunder. The creators wanted to make a big impact on consumers. Whatever the reason, Black Thunder bars taste absolutely delicious. Everyone who likes chocolate loves them. Even Japan’s Prime Minister is a huge fan! There are 15 packs of mini bars in the bag. 1 mini bar is approx. 0.45 oz. (size 2.0" x 0.6" x 0.87"). Series sold over 130,000,000 packs every year in Japan. Store under 82F and avoid direct sun light. Delivery date varies on shipping options. Takenoko no Sato cookies give you a delicious blend of milk and bitter chocolate. 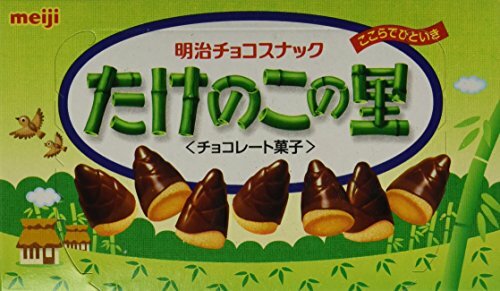 They’re shaped like bamboo shoots. 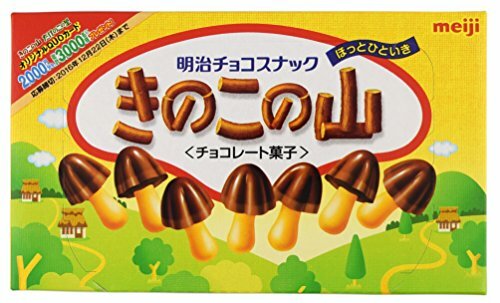 Kinoko no Yama, on the other hand, are shaped like little mushrooms. Their name means “mushroom mountain.” The caps get covered with the same chocolate blend. These two chocolate cookies have a bitter rivalry. They’ve divided the Japanese population for as long as anyone can remember. Think Coke vs. Pepsi during the 80’s, if you were around back then. That’s how intense the rivalry can get! Some people insist Takenoko no Sato tastes better. The cookie offers a richer, softer, and more satisfying texture. It tastes sweeter. Want to start a heated argument among a group of Japanese people? Ask them which cookie they prefer – almost everyone picks a side. Are you Kinoko or Takenoko? The mushroom heads are made up of two layers of chocolate - a sweeter milk chocolate underneath and a richer dark chocolate on top. Much to the dismay of long-time Karl fans, the Meiji Co., announced they’ll pull Karl off the shelves in eastern Japan. They’re also doing away with all but two flavors, due to decreasing sales. This came as a shock to many Karl lovers. 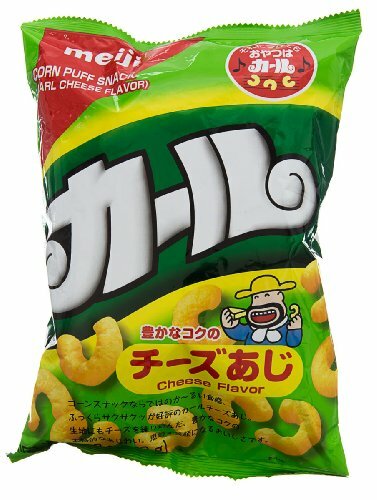 Since 1968, the light, puffy corn snacks have been a huge part of the Japanese snack culture. Karl is one of those snacks that has always been there. If you grew up in Japan, you’ll know what I mean. You took them along for school field trips… they satisfied your hunger at sports tournaments… and Karl kept you company on long train rides. It’s not just a snack. It’s a huge part of the culture and people’s memories. Karl isn’t greasy. You always get just the right amount of seasoning. It’s not fried. If you happen to eat the whole bag in one sitting (like many of us have done! ), it won’t leave you feeling heavy and sick. So if you’ve never tried Karl, now is the time. You want to get some while it’s still available where you are. I suggest you start with the two best-selling flavors – lightly salted and cheese. This one’s a no-brainer: pizza-flavored potato chips. Why not combine two favorite foods into one guilty pleasure? 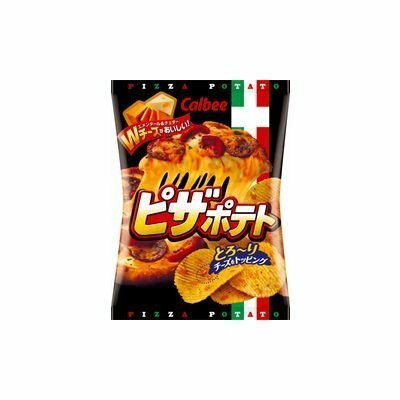 That’s what Calbee did when they created Pizza Potato chips in 1992. The company uses Hokkaido potatoes to make the thick, ridged chips. They smother the chips in cheese, tomato flakes, and salami. The result: a truly pizza-like experience. No detail gets overlooked; there’s even tiny bits of parsley added to the chips! Pizza Potato chips continue to evolve. In 2008, Calbee began offering a double cheese flavor. The flavor uses cheddar and Emmental cheese. This gourmet pizza flavor would please even the pickiest foodie. Calbee Pizza Potato chips stand a class above the rest. For serious snackers who love pizza, nothing else will do! The Japanese snack world isn’t an easy place to survive in. It changes with the trends and kills off delicious snacks on a regular basis. But certain snacks continue to prevail. Year after year, decade after decade. It might be because new, exciting flavors get introduced each season. Or maybe it’s because these snacks found the perfect formula of good taste, portability, and attractive packaging. Whatever the reason, these snacks have stayed popular for decades… even as other snacks come and go. Are you new to Japanese snacks? Don’t let some of the odd-sounding ideas (like shrimp chips) deter you. Try one. You don’t know what you’re missing! You can’t go wrong with something from this top 10 list of Japanese snacks. They’ve all stood the test of time for a reason – they taste great and give hungry snackers exactly what they need! Have You Tried Any of These Tasty Treats? If so, which one do you like the most? Did we miss a Japanese snack we should have included on the list? Let us know in the comments. Don’t forget to share this article with your foodie friends. You guys will have a blast trying these tasty treats! Nothing says “I appreciate you” like eating some good food together!